Quilted Northern Bath Tissue As Low As $0.33 Per Roll! You are here: Home / Great Deals / Amazon Deals / Quilted Northern Bath Tissue As Low As $0.33 Per Roll! Quilted Northern Bath Tissue As Low As $0.39 Per Roll! Here’s another reason I love Amazon Prime! 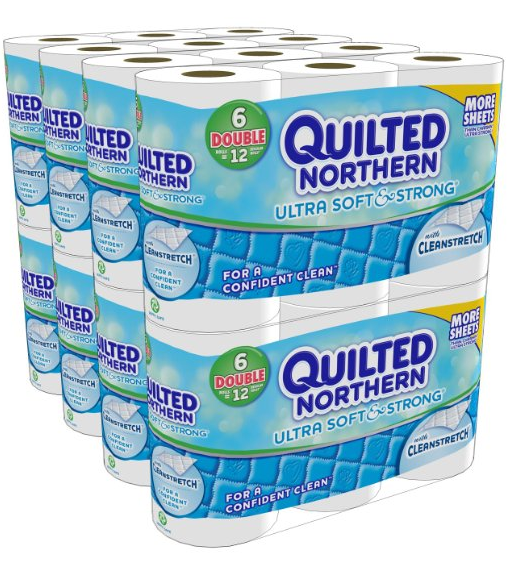 You can get Quilted Northern for as low as $0.39 a roll! Buy Quilted Northern on sale for $23.94. Make sure to clip the coupon that is in the listing for $1.50 off! Amazon Prime! You can save 20% off if you Subscribe and Save to 5 or more items!